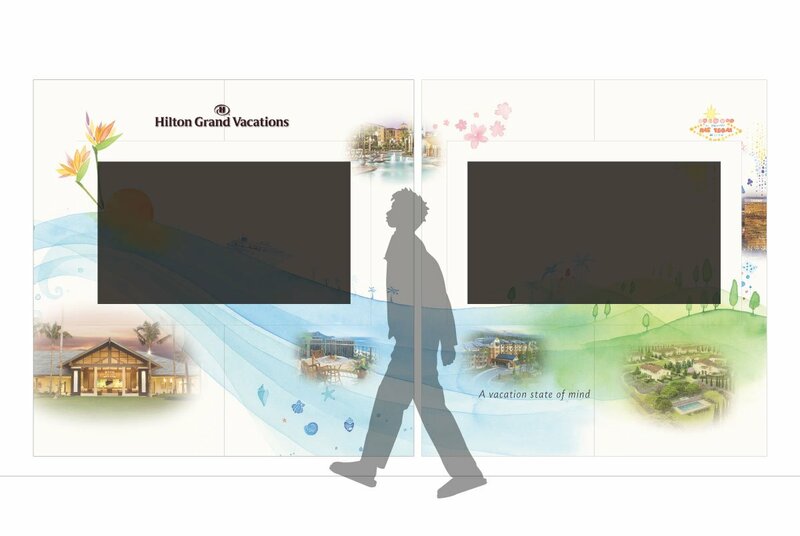 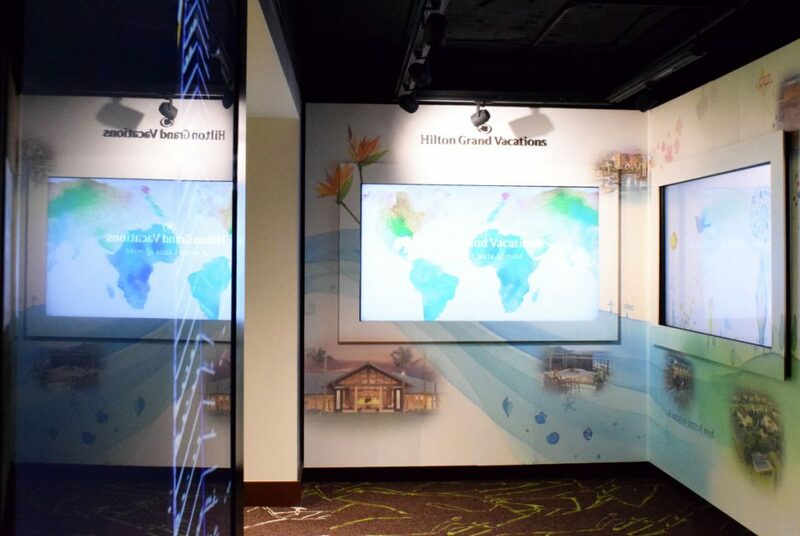 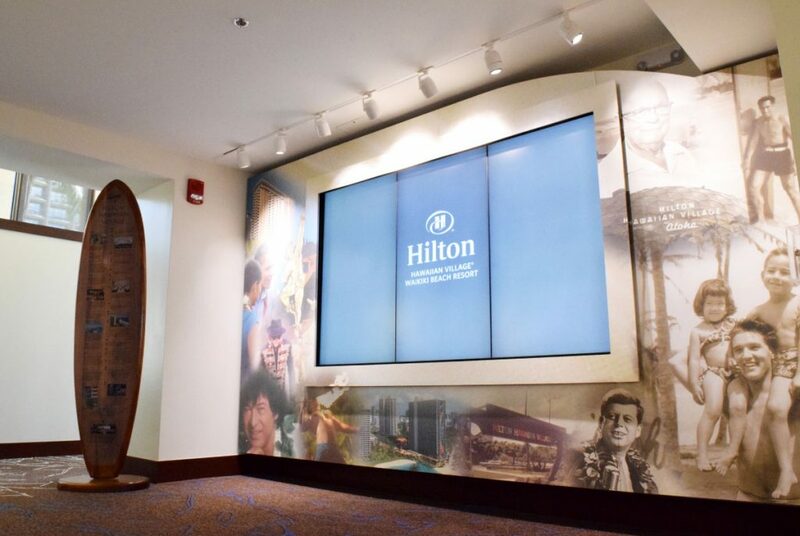 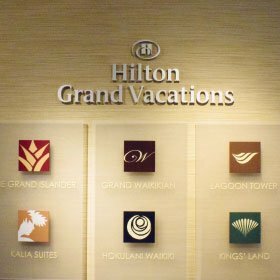 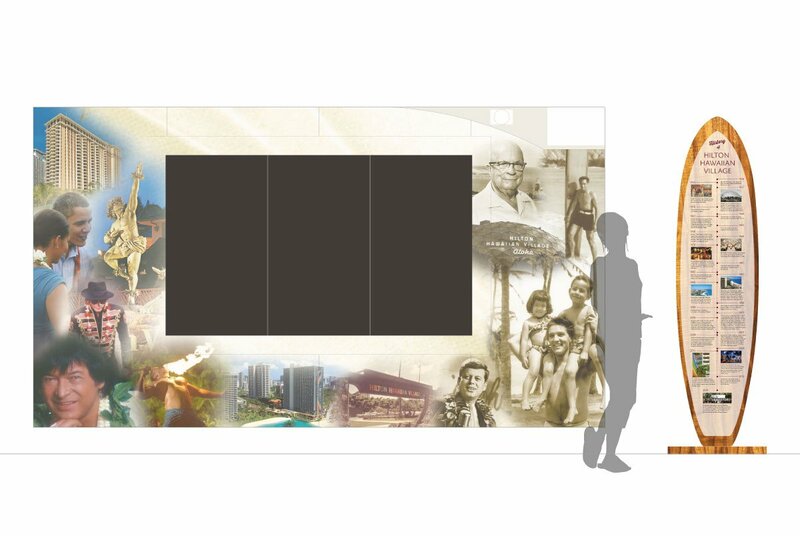 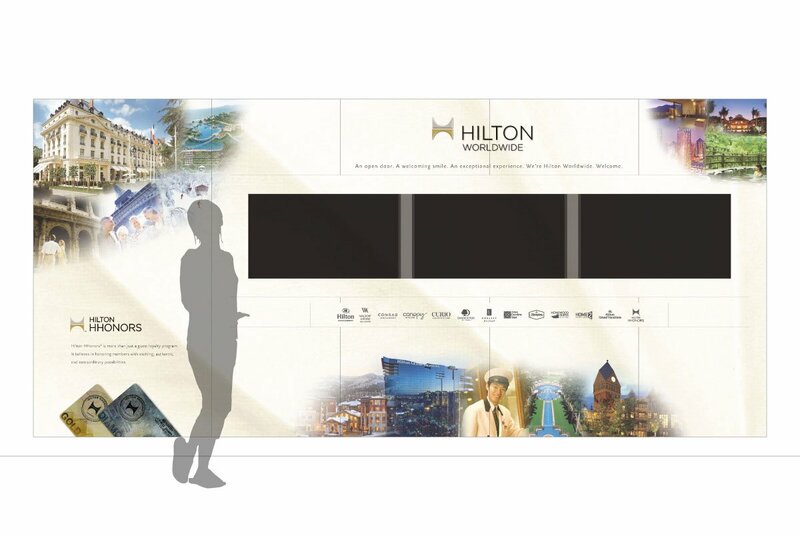 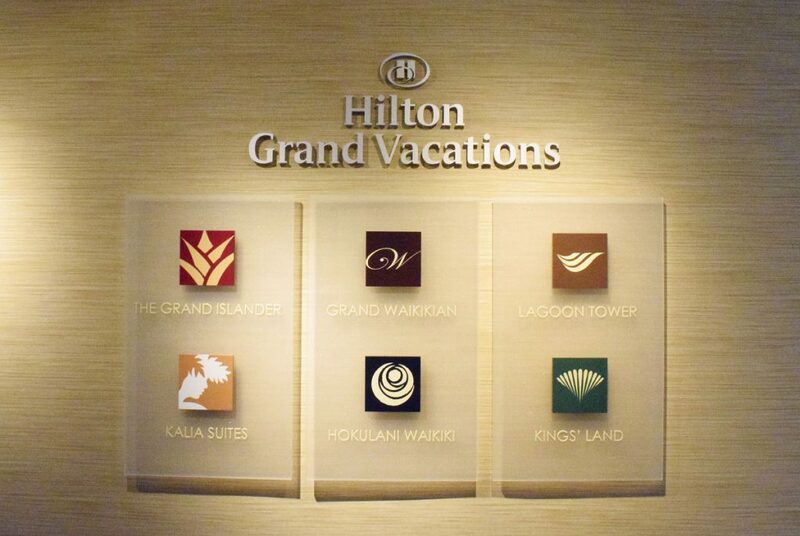 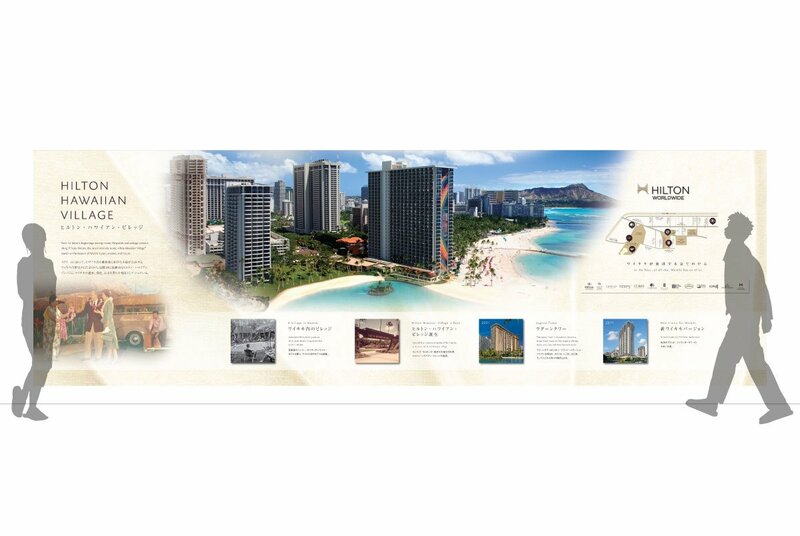 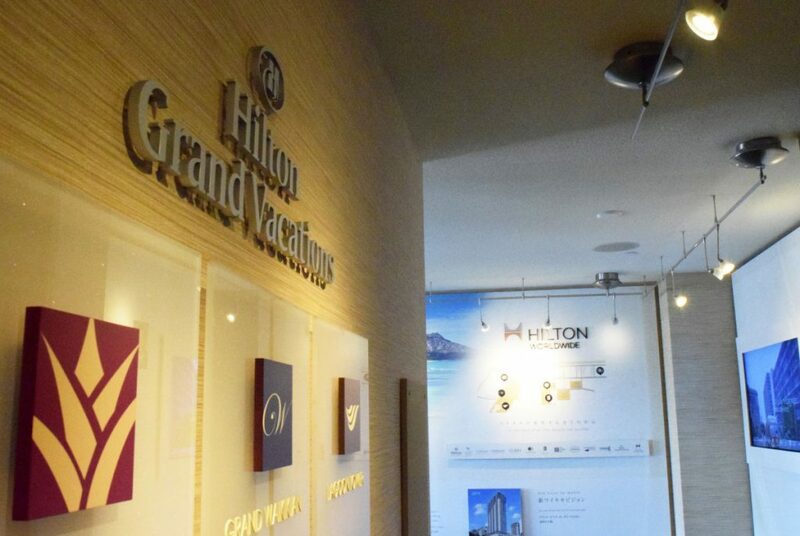 Hilton Grand Vacations was looking for a total revamp of three of their sales spaces in the Hilton Hawaiian Village. 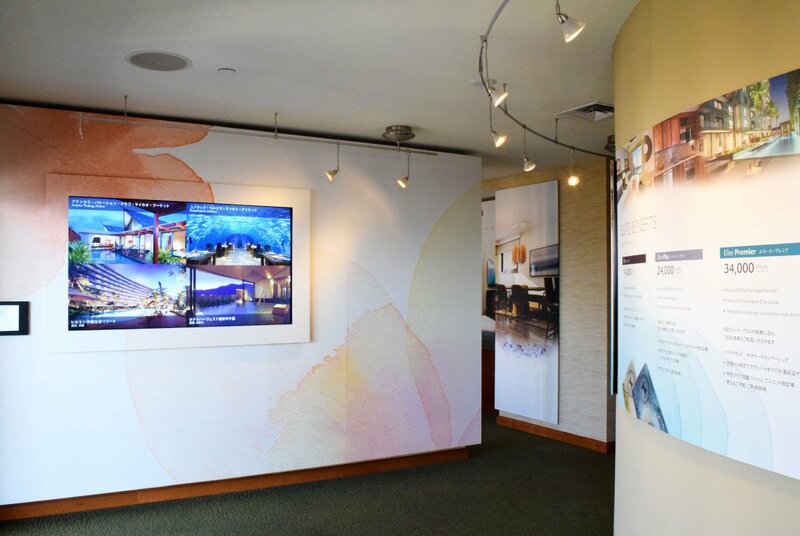 They wanted to implement their new visual identity throughout all of the spaces and have them unified with a consistent look. 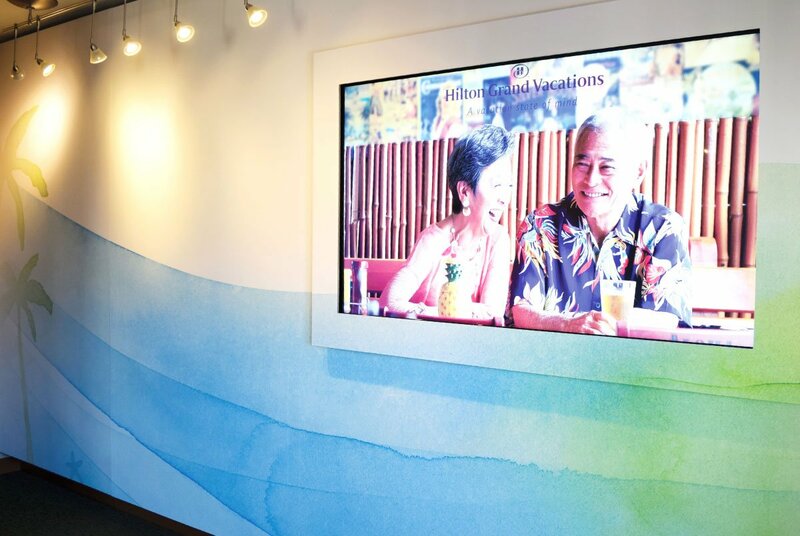 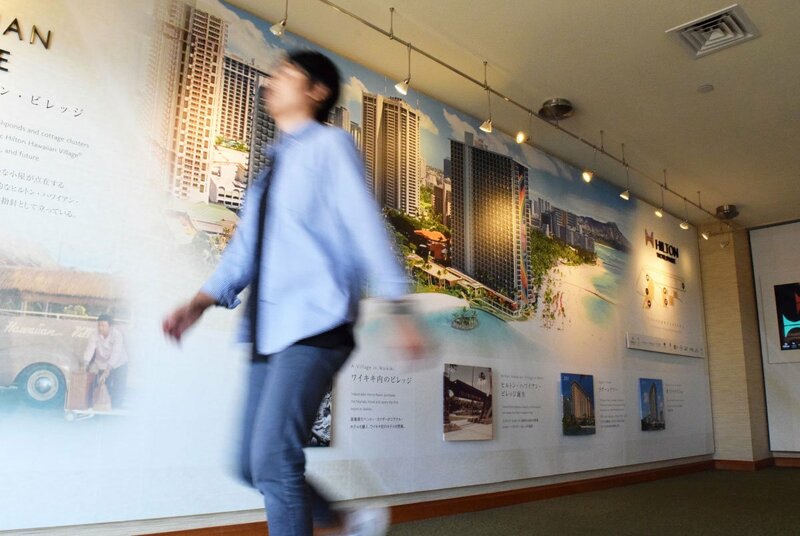 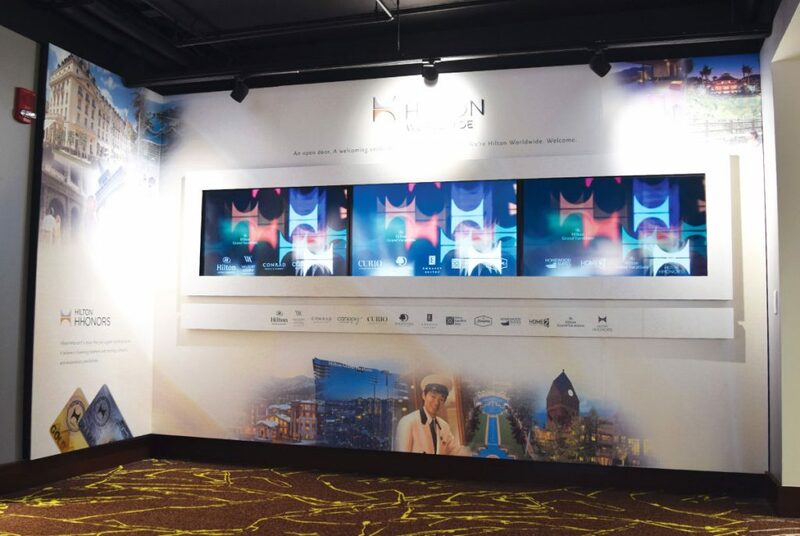 However, they wanted to make sure that the wall graphics would not overpower the LCD TVs, which need to be the center of attention. 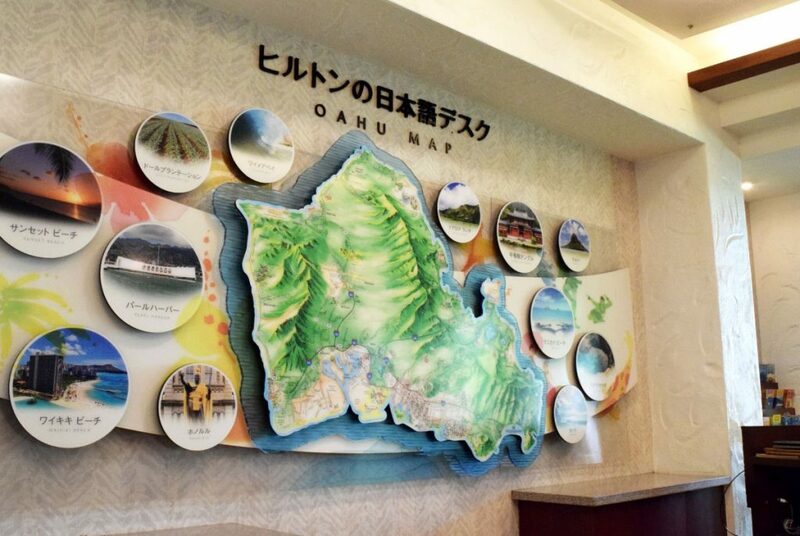 Their audience consists of both domestic and international (mainly Japanese) customers. 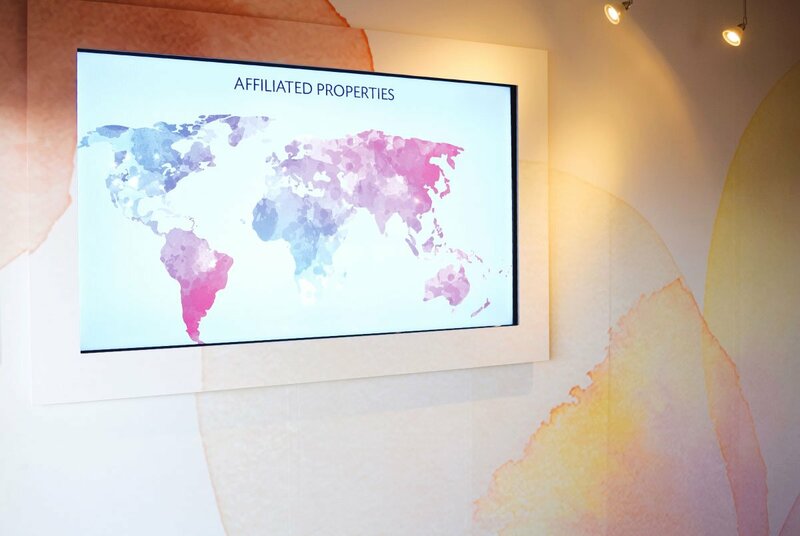 By creating a design that combines video content with spatial graphics, we were able to increase the impact of both sales promotions and branding. 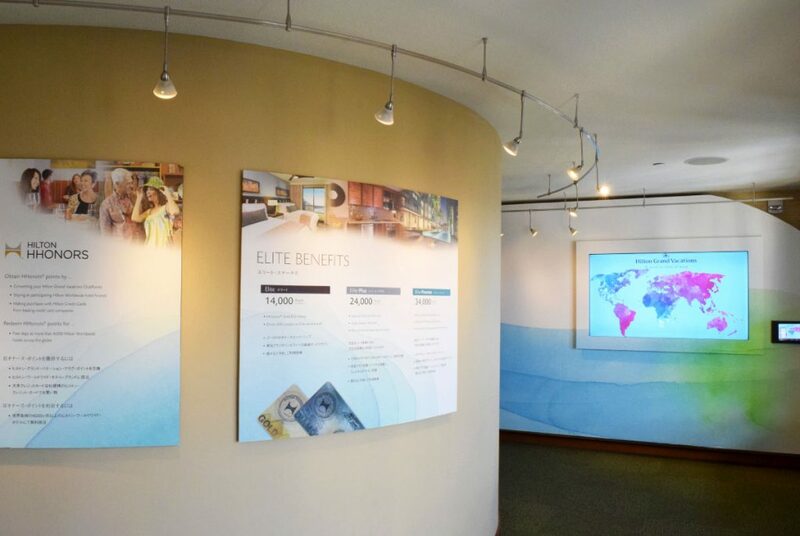 We came up with a design concept that implemented the unique brand watercolor illustrations in a dynamic and impactful way spatially, yet balanced well enough to not visually “overpower” LCD monitors as the monitors are the center of each wall. 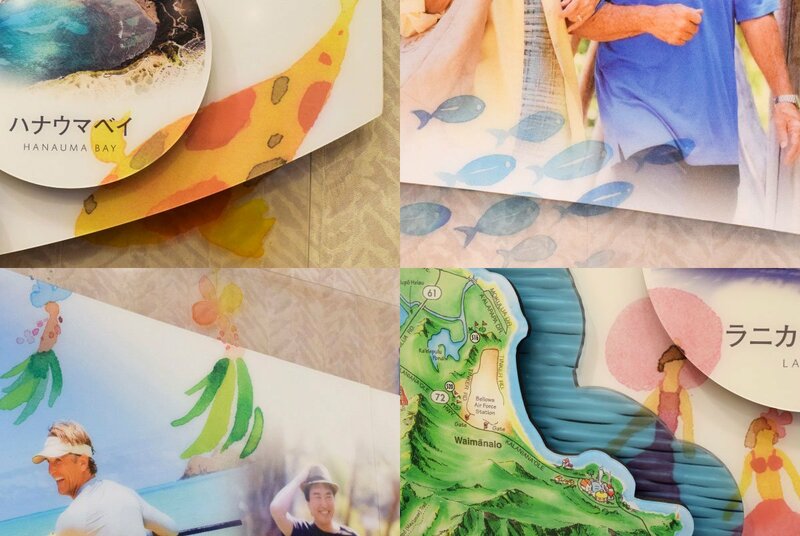 By implementing the illustrations in a widespread manner, the illustrations were able to be subtle, yet eye-catching. 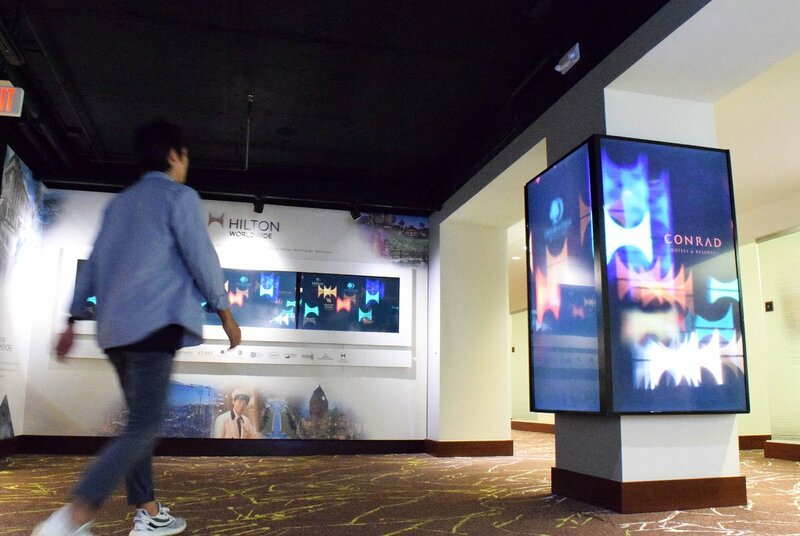 Colorful and energetic, without being blinding.